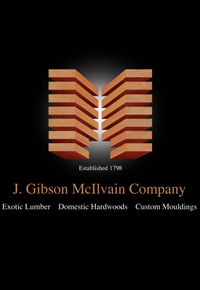 Because the J. Gibson McIlvain Company (mcilvain.com) is a direct importer and buyer, we can eliminate middle man charges, resulting in lower prices; combine that with faster shipping times due to an extensive inventory of hardwoods in the lumber yard, and it is clear why the company is a top choice for many Caribbean contractors. 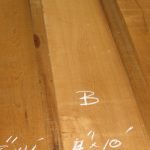 With the direct buying model, high quality lumber is always expected, and the three inspections that each lumber board is given also ensures only the best. 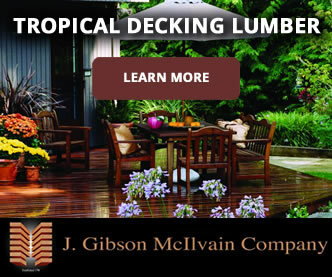 With over 7 million board feet of varying species to select from on any given day, Caribbean contractors can turn to the J. Gibson McIlvain for essentially any wood species; if the wood species is rare and not in stock, do not worry. It can usually be attained. While all seems perfect in the direct buying model, roadblocks can often arise in the shipment of lumber products to the Caribbean islands. 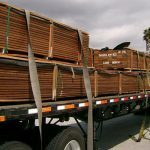 Contractors on the Caribbean islands are often taxed with delivering quality products in a tight time frame, so if a lumber supply is delivered damaged or late, it can be extremely detrimental to the company and the project at hand. By anticipating the roadblocks, J. Gibson McIlvain intends to increase the probability of lumber deliveries arriving on the islands within the desired time frame and damage free. It is a long journey from Maryland, United States to the islands of the Caribbean. Along the way, wood may travel by a variety of means and perhaps in a variety of weather conditions. When the wood arrives in Miami, it could sit a few days in the sun before being loaded onto a ship. Once on that boat, it may be exposed to sea water, sun, and storms at sea. 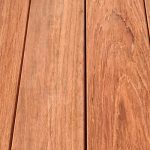 While it is likely that wood will someday be exposed to the same natural elements in its finished project, customers are not happy if their wood arrives damaged from fading and oxidation. 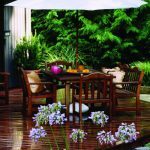 Because J. Gibson McIlvain Company cannot anticipate how long the product may be exposed to the elements, after extensive research, our wood specialists have found that packaging the product in a UV shrink wrap protects the lumber from the rain and harsh rays of the sun. 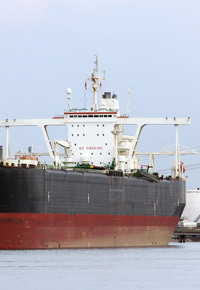 This ensures that even if the product does have a delay in Miami or on the ship, it will be protected and arrive in the same condition with which it left the lumber yard. While we would like to think that the lumber will be treated with the care we give it here in Maryland, we know that the long travel does not always allow for that. By sending a truck to Florida once a week, we can quickly get the product down to the shipper in Miami who will get it over to the final destination. 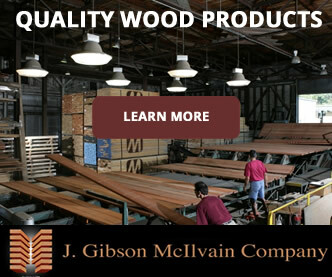 This minimizes how long the lumber will sit in a warehouse in Florida or sit at the port. 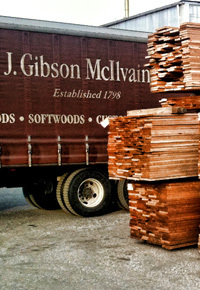 Because the lumber is certain to be moved around with a forklift, the wood specialists at J. Gibson McIlvain found that forklift damage could be avoided by building up the crates that transport the lumber. 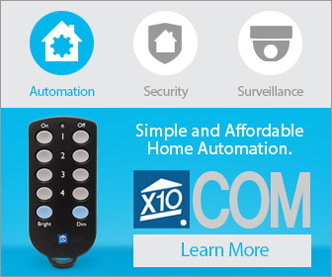 While every company wishes that it would never happen, the harsh reality is that any shipment, be it our wood products or the iPad you just ordered from Apple, is subject to the risk of being stolen or lost in transit. 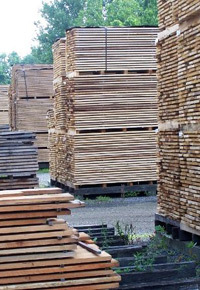 By shipping our lumber orders in one combined package, this helps prevent the risk of just one item being lost or stolen. 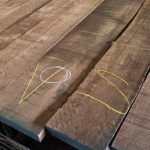 Ultimately, the only way that the lumber supplier can learn preventative measures is by trial and error, feedback from customers, and site visits from representatives in the islands who understand the local rules and regulations. Because J. Gibson McIlvain Company services many contractors from the Virgin Islands and Bermuda to the Bahamas and the West Indies, preventative measures must be taken seriously in order to make the shipping and delivery process easier for those working hard to build in the remote areas.